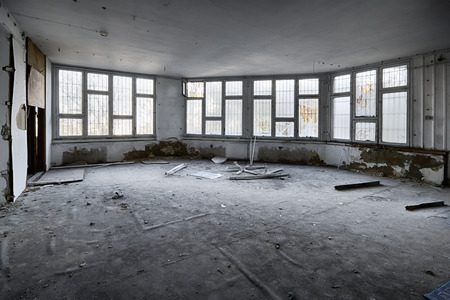 This whole area of dilapidations is complicated with chartered building surveyors being engaged to support either the tenant or the landlord in differing circumstances. In basic terms, dilapidations are a claim for damages based on the repairing obligations as set out in a commercial lease. In a full repairing and insuring lease in Scotland (which is the most commonly used style of lease when dealing with commercial property) the landlord’s aim is to ensure that the premises are kept in good condition. To properly achieve this, landlords should warn tenants in advance of any neglect of which they become aware – but they frequently don’t. If landlords do warn tenants about wants of repair, it reduces the risk of reduction in the property value before a problem becomes more widespread. The best way to deal with this is by issuing an interim schedule of dilapidations. Although this is more limited than a final schedule, will usually focus the attention of the tenant on problems that have been discovered. A final schedule of dilapidations will identify items of disrepair to be made good by the tenant. The purpose of this is to protect the asset value when the lease comes to an end. The schedule of dilapidations will often form the basis of a financial claim by the landlord where tenants fail to comply with the repairing obligations set out in the lease. From the tenant’s perspective, a schedule of dilapidations normally arrives close to or shortly after the expiry of a lease. When the schedule arrives, the validity of the landlord’s claim should be investigated and reference must be made to the specific terms of the lease repairing obligations. The landlord’s future plans for the premises must also be considered. When a claim is submitted in good time before the end of the lease, it usually benefits tenants to have any legitimate repair works carried out less expensively themselves rather than leave these for the landlord to complete. When dealing with dilapidations, both parties must address the specific repairing obligations contained in the lease. Tenants taking on a new lease are likely to be faced with a clause stating that they “accept the property in good order and repair” or they “accept the property in a tenantable condition”. If the tenant accepts the property in “good order and repair” it implies that it must be returned to the landlord in such a condition on termination of the lease. Accepting a property in tenantable condition is not quite as straight forward. Age, character and locality issues could be considered as a basis to rebut any schedule of dilapidations in such a case. It is very important to understand what the repairing clauses in the lease mean. Even short-term leases can have serious repairing implications. Tenants who enter into what they thought were reasonable repairing obligations can quickly learn that this is not the case. It is very important to carry out due diligence before entering into a lease. Sensible tenants engage the services of a chartered building surveyor to visit the premises and report on its condition or repair. If tenants do not do this and it transpires that the building has significant structural problems that could, for instance, only be resolved by, say, the rebuilding of a significant portion of an external elevation, then the tenants will become responsible for the cost of those repairs as they have taken on the repairing obligations in the lease. This can mean that the value of the dilapidations claim is many times more than the annual rental for the premises. That would represent a significant unforeseen and unbudgeted expense for the outgoing tenant. If a proper review of the condition of the building is carried out at the outset, this will help tenants to avoid such expense. “Interim” and “Terminal” dilapidations terminology is used in Scotland although the courts do not recognise a difference between the two types of schedule. In England and Wales it is not unusual for a landlord to serve an interim schedule on a tenant at, say, the mid-term point of the lease as a reminder to the tenant to undertake repairs. However, in England and Wales, there are limits to what can be included in this – not so in Scotland. During the recession, there was a significant increase in the number of schedules of dilapidations being served during the term of a lease. Landlords did this to avoid being left with an empty property in poor condition in the event that the tenant became insolvent. 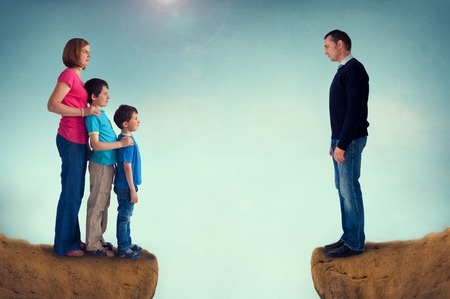 As a result of landlords seeking to enforce the repairing obligations and tenants seeking to minimise their liabilities, more disputes have arisen. The starting point in resolving any dispute will be the scope of the repairing obligation – in particular whether the common law position has been supplanted by the repairing clauses in the lease. At common law, obligations are largely limited to liability for fair wear and tear, and repairs needed due to the tenant’s negligence. A key issue in some major dilapidations disputes, argued before the Scottish courts, is whether the landlord’s common law liability for extraordinary repairs has been transferred to the tenant. Resolving this issue can require careful analysis of the wording of the repairing obligations in the lease, and its outcome can have significant implications for the respective liabilities of the parties. If you would like to discuss a liability issue you have regarding dilapidations or otherwise wish to discuss the terms of a commercial lease, please call us on 01698 373365 or click here to email us.